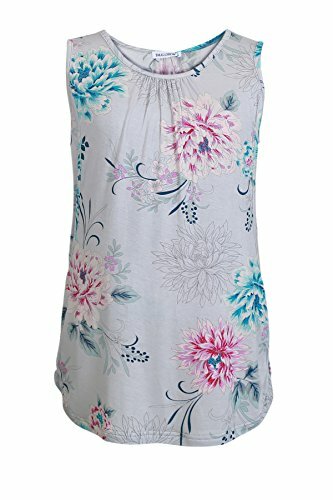 Smallshow Women's Maternity Nursing Tops Breastfeeding Clothes Medium SVP040 | What Should I Say? 1.Soak the Fabric in Cold Water: Put the stained fabric into cold water for five to 10 minutes. At this point, you don't need to use any detergent. If the stain remains, move on to step 2. 2.Treat with Baby Laundry Detergent: If the stain remains, rub liquid baby laundry detergent into the stained area and soak in room temperature water for 30 minutes. Every three to five minutes while the milk-stained clothing is soaking, you should gently rub the stained area between your fingers for a few seconds. And then rinse thoroughly. 3.If the stain remains, repeat steps 1-2 again before drying.Make sure the stain has been fully removed before drying. Drying will set the stain permanently. Take care of the stains as soon as they hit your fabric. That means that you need to get to them before they dry. Soak the fabric for five to ten minutes in cold water to stop the stain from setting if you can not get to the stain right away.